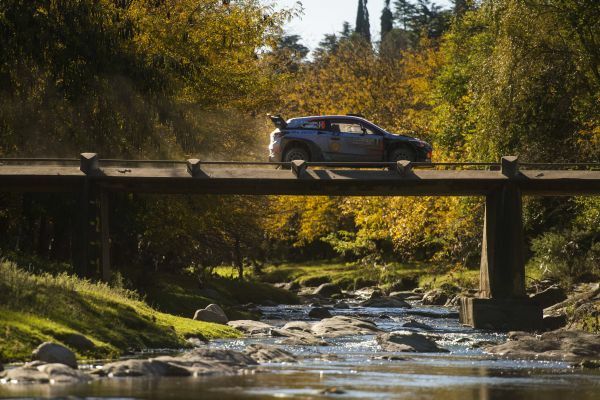 Elfyn Evans clung on to his YPF Rally Argentina lead on Saturday. After stretching his advantage to more than a minute on Saturday morning, Evans watched Thierry Neuville whittle it down to just 11.5sec, with one of the toughest days of the WRC season waiting on Sunday. 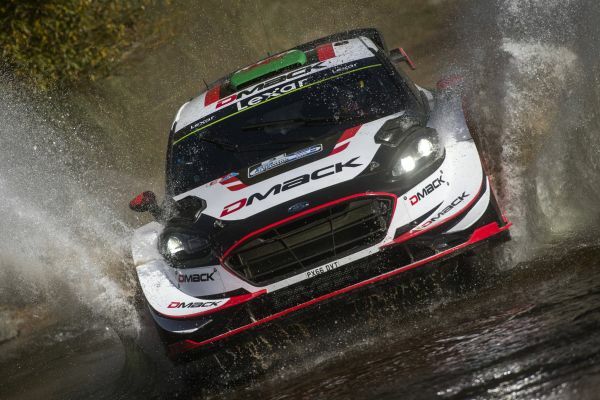 The Welshman won the opening speed test in his Ford Fiesta, his seventh victory in 10 stages. A slow puncture in the next test, followed by another when a pace note mix up sent him into a bank, reduced his advantage to 44sec at the midpoint. In the afternoon his car’s aerodynamic rear diffuser was ripped off in a heavy landing, affecting its handling, especially in the high speed sections. A final stage spin then allowed the charging Belgian to close. He said, “We had no major problems, just a lot of niggly things. There was something strange with the rear, the car was soft and oversteering and I didn’t feel comfortable. Ott Tänak was just 8.4sec behind Neuville after a strong day in his Fiesta. The Estonian saw off team-mate Sébastien Ogier and Mads Østberg before cementing third with two afternoon stage wins. Ogier trailed Tänak in fourth by 18.4sec after a series of problems. He spun in a watersplash and had little confidence in his ill-handling car. The team made major changes at the rear which improved his afternoon speed. Jari-Matti Latvala and Hayden Paddon filled out the top six. Latvala played with the set-up of his Toyota Yaris while Paddon broke the anti-roll bar in his i20.